myoldmac.net - Zodiac - Astrological Computer by Coleco Inc. 1979 - Buy it! DID IT HAPPEN? DID IT COME TRUE? 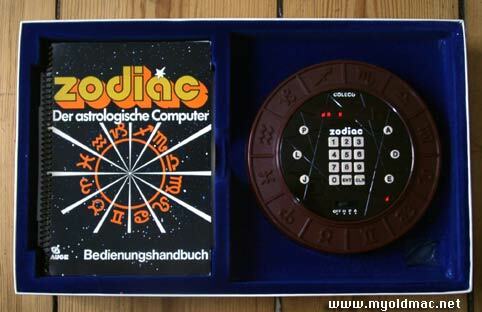 Coleco Zodiac, The Astrology Computer, 1979. 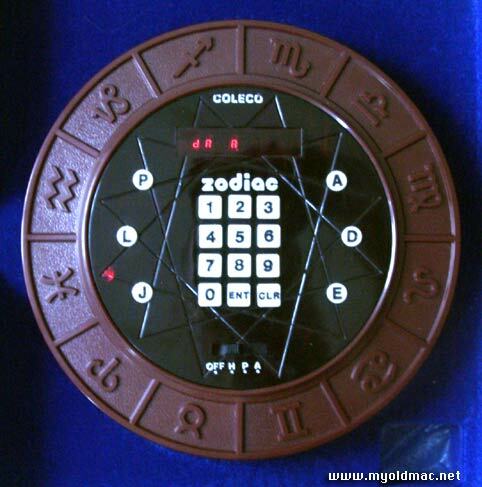 Compute your own horoscope for 25 years ago, includes Zodiac computer and instruction book with introduction by noted astrologer Sydney Omarr. Electronic lights and sound effects. 3 operating modes: HOROSCOPE MODE: Complete horoscope and personality profile interpretations. DAILY PREVIEW MODE: Updates for any day you wish. ADVICE MODE: Answers to life's questions, given in computer display readout. 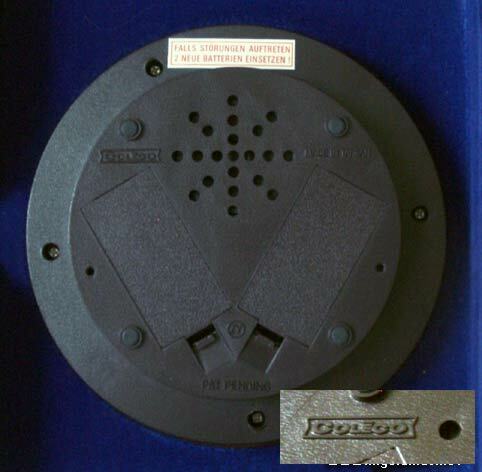 Coleco was a company founded in 1932 by Maurice Greenberg as "Connecticut Leather Company" to sell leather supplies to shoemakers. This led to a business in leather craft kits in the 1950s which led to the sale of plastic wading pools in the 1960s. The leather part of the business was then sold off. The company is best known for producing the video game consoles Coleco Telstar and Colecovision. Ein sehr seltenes Computerspiel von Coleco "Zodiac". Man kann damit sein eigenes Horoskop ersetellen, obwohl die nötigen Berechnungslisten nicht mehr ins Jahr 2005 reichen - sozusagen mit 2k Bug. Das original Handbuch (in deutsch) und unbenutzte Berechnungsbögen, sowie die Verpackung sind vorhanden, alles in sehr gutem Zustand. Das Gerät ist getestet und funktioniert. Ein Museumsstück. 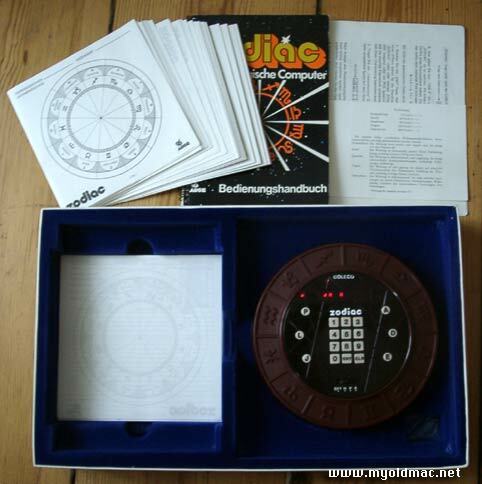 Die Spielzeugfirma Coleco war eine der ersten, die den Erfolg des Home Pong von Atari mit einem eigenen Nachbau (Telestar) 1976 kopierten. Ab 1981 produzierten sie zusätzlich eine Modellreihe aufwendig gestalteter Handheld Games, die aufgrund ihrer Grösse auch als "Table Tops" bezeichnet werden. Heute gehört diese Produktlinie von Coleco aufgrund ihrer Detailliebe zu den meistgesuchten Sammlerstücken im Bereich der digitalen Spielzeuge. 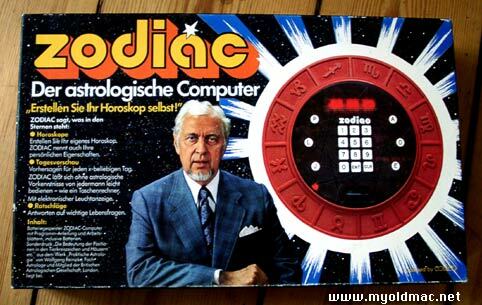 Zodiac by Coleco - in original package.